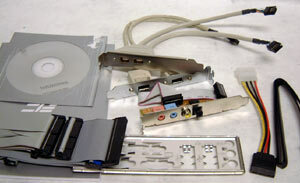 Abstract: FIC's AU13 takes over where the AU11 left off and add's the ever important Serial ATA ports. When we tested FIC's original nForce2 SPP motherboard the FIC AU11, we were extremely impressed with what we saw but found to be "bare" in terms of features. Well FIC must have taken our words to heart because their newly revised AU13 is much more "future friendly". With the nForce2 chipset now mature and extremely stable, it's obvious that anyone contemplating purchasing an AMD based system or new motherboard should only go with nVIDIA. nVIDIA certainly has learned a lot in a very short amount of time considering that the original nForce chipset fizzled due to delay after delay. It's an easy bet that nVIDIA was not about to make the same mistake when the nForce2 (Crush 18) was released. 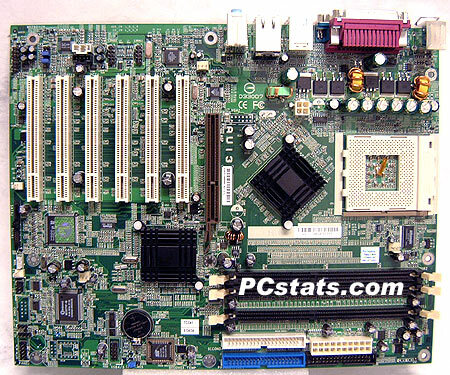 Even though the nForce2 was delayed a few months when it was eventually released, the chipset was heads and shoulders above anything else on the market. In fact, nVIDIA's performance lead is so high that even VIA's up coming KT400A chipset cannot match the nForce2 in terms of performance or features - price is altogether different matter though. That performance lead over basically unreleased chipsets certainly says a lot about the nForce2 which has already been around with us officially for six months! Rumor even has it that nVidia are revising the current nForce2 chipset for yet more performance. The new chipset is expected to be dubbed the 'nForce2 Ultra' and it will be nVIDIA's last K7 chipset partnered with the MCP/MCP-T southbridge. If the rumors are correct the NF2-Ultra is scheduled to be released in the third quarter of this year, perfect time to compete with VIA's KT600 which has already been spotted at shows like CeBit and Comdex. Back to the present; FIC's AU13 takes over where the AU11 left off and add's the ever important Serial ATA ports. Even with new enhancements, FIC have managed to price the AU13 below that of the AU11 (about $90USD) This is easily one of the least expensive nForce2 motherboards we've tested to date. FIC, like Epox use a standard green-coloured PCB for their motherboards. Looking at the AU13, the first thing that caught our attention were the matching black Northbridge/Southbridge heatsinks. Since the Southbridge can generate a lot of heat during extended operation many manufacturers have been adding small passive heatsinks on the chipset as well. Since there are mounting holes around the northbridge, the passive heatsink could be removed and a 3rd party chipset cooler like the Vantec Iceberq CCB-A1 or Microcool Northpole added. Pg 2. What will you find on the AU13?